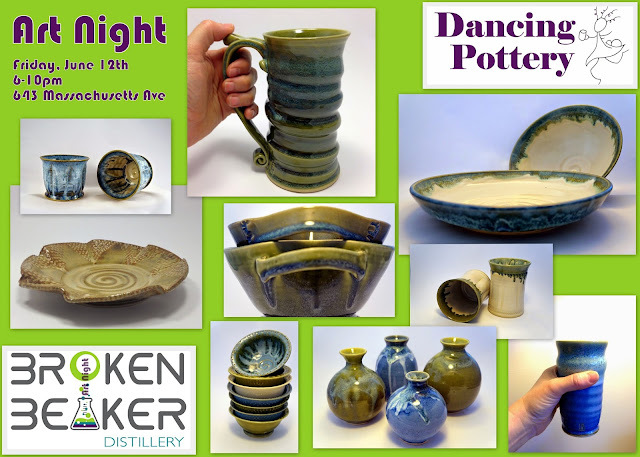 Dancing Pottery: Come get a preview of Broken Beaker Distillery! Come get a preview of Broken Beaker Distillery! Broken Beaker Distillery plans to open this fall on Mass Ave. It is hosting its second Art Night this Friday, June 12th, 6-10pm. This event is free and open to the public. There's 10 local artists, food from local venues, and live music. Come out to meet the owners and see how the build out on the distillery is progressing!